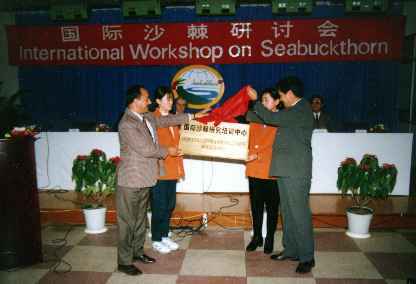 The First International Symposium on seabuckthorn were held by National seabuckthorn office in October,1989,in Xi'an, China. (A) Openning ceremeny. 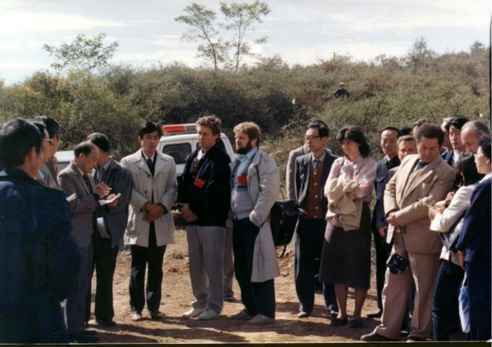 (B) Study tour in Shaanxi Province. 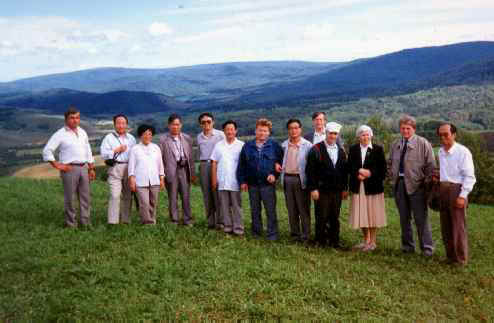 The Secand International Symposium on Seabuckthorn were held by M.A.Lisavenko Research Institude of Horticulture in Aug. 1993, in Barnaul, Russia.Above show the study tour. 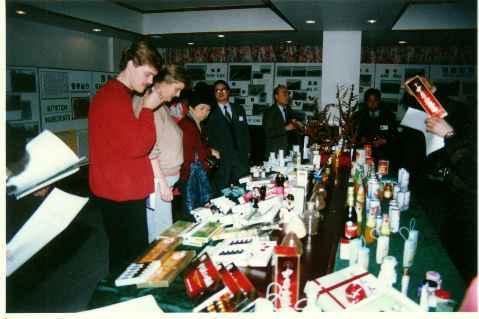 '95 International Workshop on Seabuckthorn were held by China Administration Center of Seabuckthorn Development in Dec. 1995, in Beijing. 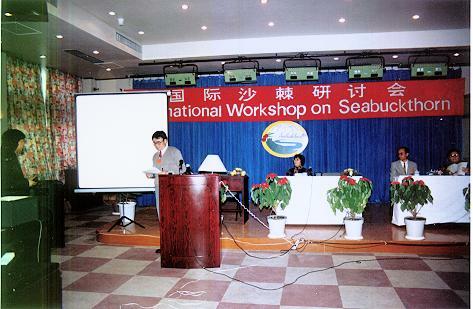 The participants of 15 countries and 4 international organizations signed the Beijing Declaration calling for the establishment of International Center for Research and Training on Seabuckthorn in Beijing ,China. 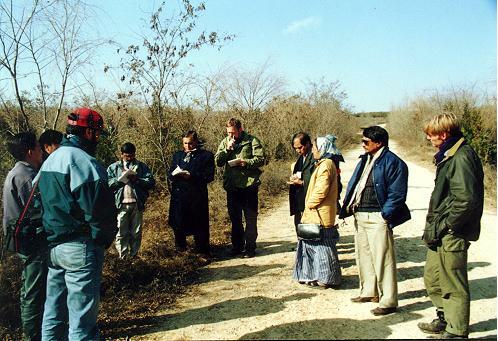 Delegations of countries of South Asia organized by ICIMOD, investigated seabuckthorn planting and processing in Loess Plateau, Yellow River Basin, China.